His Grace the Most Rev Professor George Latunji Lasebikan after niceties and encomiums showered on the Primate of all Nigeria, opened his ministration with declarations and decrees blessing the people through God of new beginning basing his premise on Christians under a new covenant. 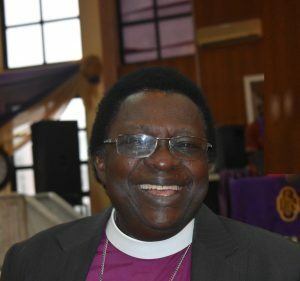 The Retired Archbishop of Ecclesiastical Province of Ondo who ministered on the grand finale of the 7-day Lenten Revival Programme, “The Way of the Cross” held at the Cathedral Church of the Advent Life Camp, Abuja said one of the greatest tragedies in Christianity today is the inability to know who they are in Christ and appreciate God. He corroborated his point by affirming that Christian are a Royalty a big kingly and powerful calling that possesses all things adding that there is authority in the Kingdom where there is dignity and integrity. Professor Lasebikan in quick succession highlighted the rules guiding the kingdom, which include, identifying and belonging to the kingdom and registering oneself with where the benefits are with an addendum that when Christians identify with the kingdom everything will work for them because God will fight the battles assuring that angels are always on guard. The erudite scholar used every emphasis at his disposal to reiterate that God will do a new thing in Nigeria because children of God reigns and rules and they must belong and be positively enrolled. He admonished Christians to stop running helter – skelter from pillar to post but stand their lives with Jesus not with politicians but looking unto Jesus the founder and finisher of their faith. He said Christians must live in knowledge pointing out that ignorance is a disaster but knowledge is power, knowledge is revelation ignorance is deadly. He said Christians are civilized people hence they must know their rights, to enter their father’s possession. The Most Rev. Latunji Lasebikan said it is unfortunate that the Nigeria society is having super misbehavior. 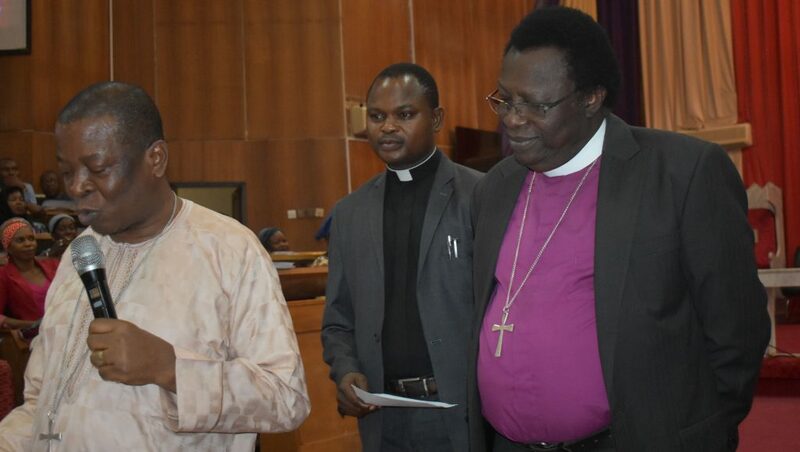 He agreed that there is proliferation of Churches but according to him sin is multiplying. He added that Christians must be knowledgeable live in knowledge so as not to walk away from the kingdom but stay there and obey the rules of the kingdom. Professor Lasebikan warned Christians not to loose their values and standards like the prodigal son asking them to shun assumption but examine themselves so as to be in the kingdom. He urged them not to take things for granted. The professor leading the overcrowded congregation of the way of the Cross to quickly correct the impression that one man can fight corruption. He said no man can fight corruption only Jesus can, he is the one that leads the hands of men in a dedicated and restored life noting that mercy prevails over judgement, adding that all are at the mercy seat of God. The ministration at the grand finale was awesome, the crowd was huge almost uncontrollable, souls were won for Christ and the people were not tired because there was never a dull moment.